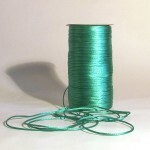 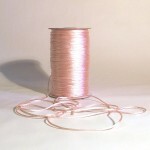 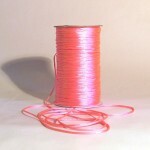 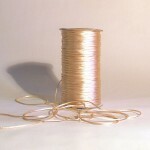 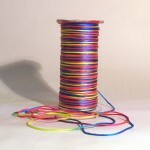 A super shiny polyester cord sold by the metre and also available in 5 metre bundles. 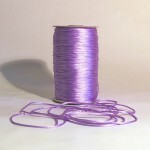 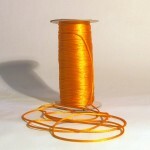 Rat tail is a gorgeous, lustrous polyester cord that can be used for a multitude of crafts. 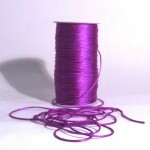 It has many names such as rat's tail, rats tail, rattail, rat tail, mouse tail, satin cord, Chinese knotting cord. 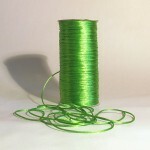 It's versatile, shiny, holds its shape well when knotted, but has a gentle drape, so an all-round excellent yarn! 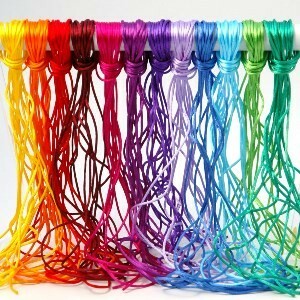 A perfect yarn to use for macrame, Chinese and Celtic knotting, an ideal necklace, jewellery or spectacle cord, couch into embroidery, make braids or knit or crochet into experimental, sculptural pieces. 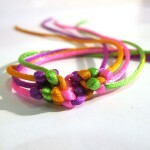 Children will love the fluorescent colours for jewellery and friendship bracelets. 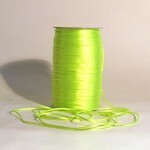 Polyester won't dye, but the white and cream could be painted with silk paints to create your own unique colours. 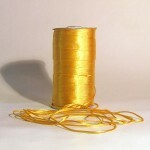 Buy by the metre for just the correct amount in a continuous length. 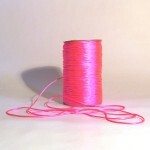 When it’s gone it’s gone, so snap it up now.